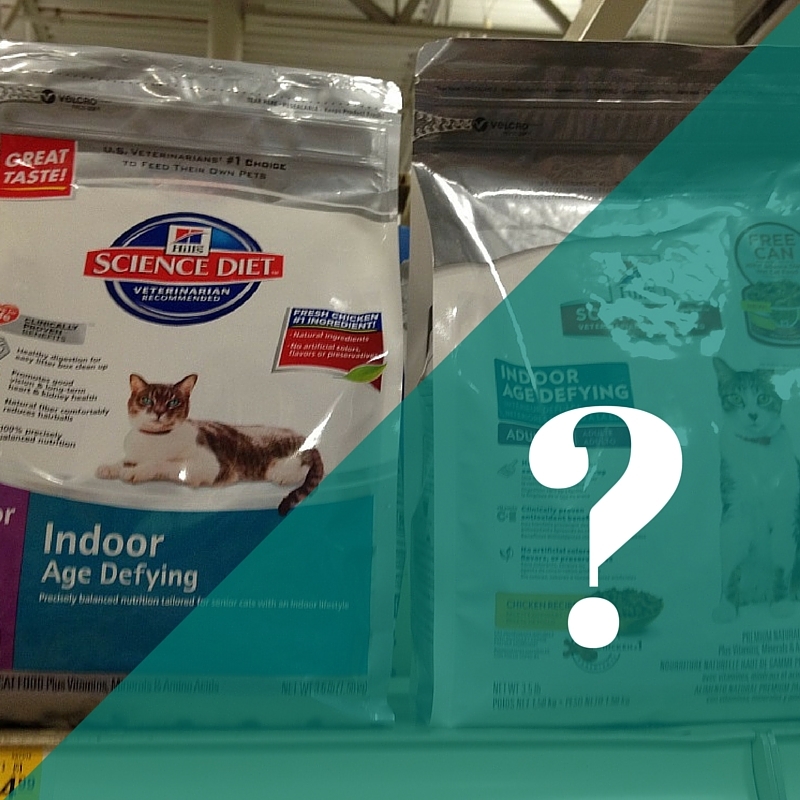 Have you ever gone to the store to purchase your pet’s food only to discover that the packaging looked different and you were no longer sure which food to purchase? As a brand ambassador for a major pet food company, I see this happen all the time. Worse than the packaging changing, pet food companies often change the recipe and are under no obligation to let consumers know about the changes. This can be potentially dangerous if your pet has a food allergy or sensitivity. 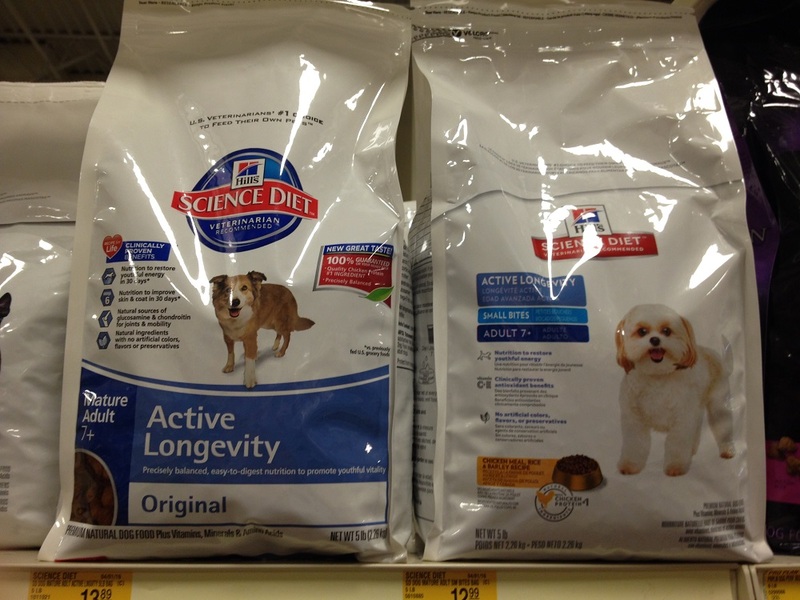 In the last few months, I’ve noticed more strange changes to pet food packaging than I’ve seen in a while. The most confusing change I found is with Hills Science Diet. It appears that the change may have been spurred by a logo change or potentially in an effort to not make a separate label for Canadien sales but check out the result. 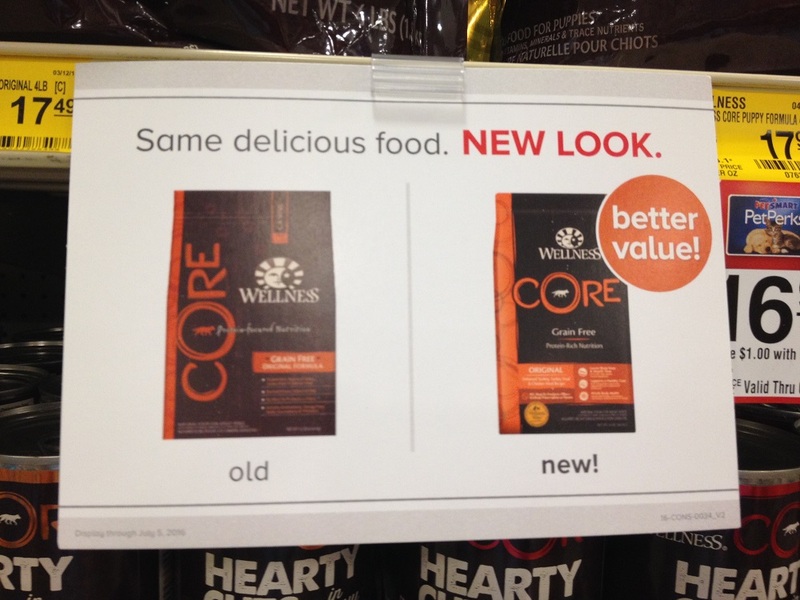 This picture shows the old packaging on the left and the “new and improved” packaging on the right. Notice all the information got smaller in order to make the logo bigger. Note, this is on a 3oz can of cat food so the type is tiny. Not only is it hard to read the flavor, you no longer know the style of food you are purchasing. 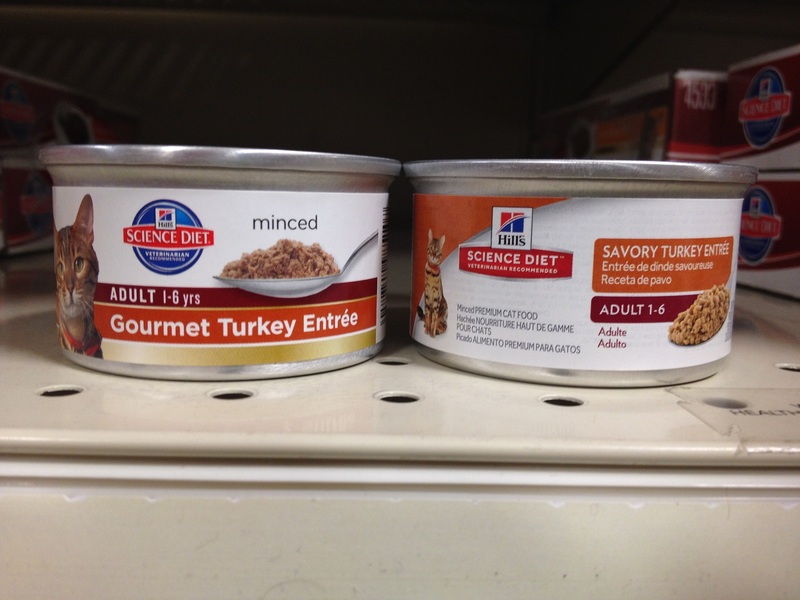 Note, the can on the left clearly states “minced” above the photo of the product. That descriptor is missing from the new packaging altogether. In addition, they changed the name altogether from “gourmet” to “savory”. In some cases, retailers are stepping in to help provide some clarification and try to aid the consumers with understanding the changes but check out this sign found in one of the big box retailers. A few things stand out. First, it’s not even the same product. 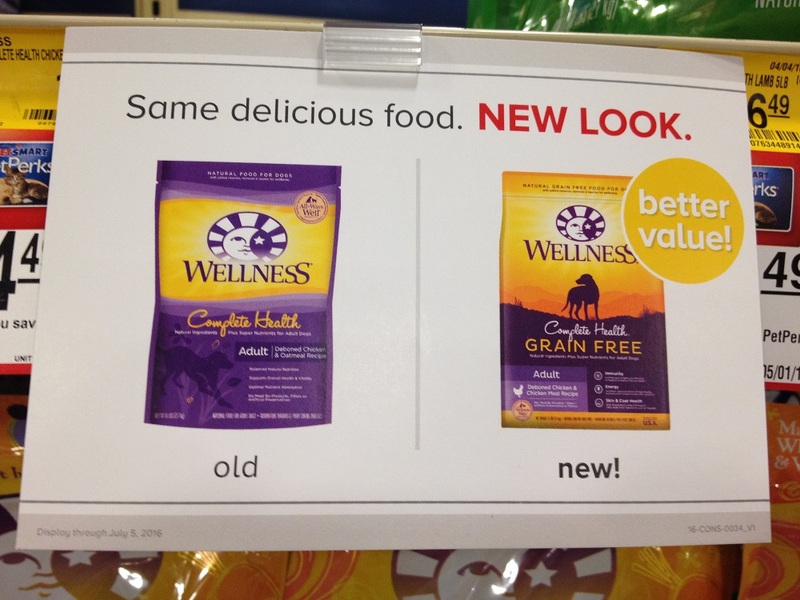 One is grain-free and the other is their existing “Complete Health” formula. Secondly, I have no idea what they are referencing when they state “better value!” Even when they managed to show the same product with the new packaging, they managed to include the “better value” claim without any information about what the value may be to the consumer. So my message to you is this. Don’t be taken in by the food companies marketing messages and packaging strategies. Take time to read the ingredients in your pet’s food and know what they are feeding them. It is the best thing we can do for our pets.